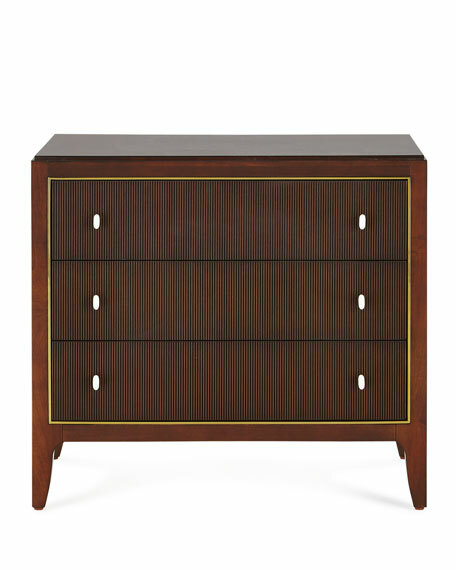 A mix of dark wood finishes and Gold Bullion details distinguishes this versatile three-drawer night stand. 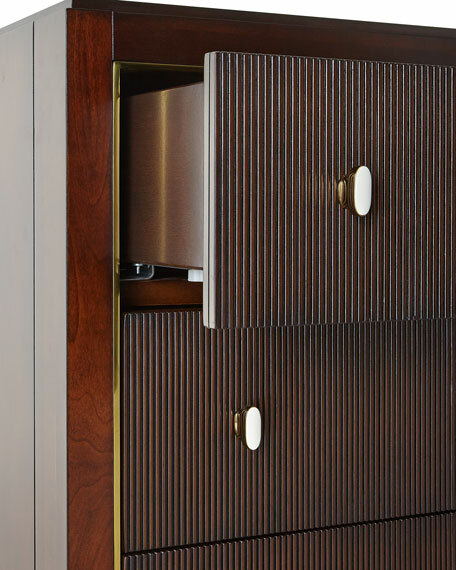 A rich Go With The Grain mahogany case surrounds reeded, Espresso Bean drawers. 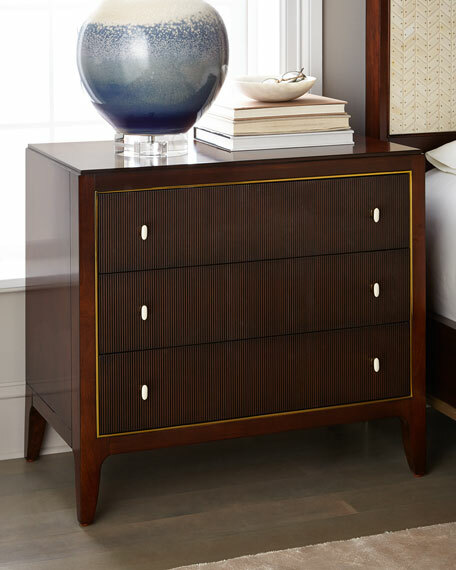 Notice how the gold metal band surrounds the three drawers adding just a hint of sparkle and a sense of tailored sophistication. Handcrafted night stand with metal trim. 32"W x 18"D x 29.3"T.
Boxed weight, approximately 127.6 lbs.